Do you want to get started with your online classifieds website, quick and easy? Here, is the step by step procedure on how you can create, manage, and maintain a classified website on your own, without writing a line of code, in less than 45 minutes! 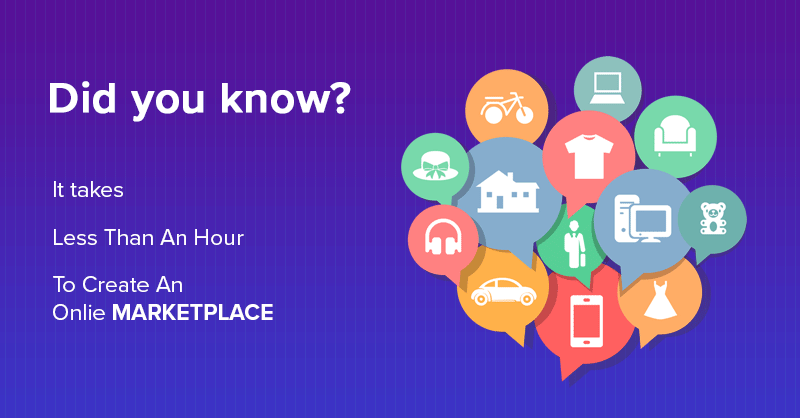 We’ll also see some money making tactics to earn through your online classifieds website, some tips for a perfect site and learn about the most common mistakes and misconceptions that may hinder the success of your classifieds website. There’s a video as well of this entire process, at the end of this guide. Domain name, which is the web address for a website, is the first thing to be decided while creating a website. You can use good host for registering your domain address as well as hosting. The process is simple and easy. However, we recommend this hosting for your business website. Choose a plan that fits your requirement, and click “Select”. It will ask you for a domain name, you can either enter the domain name or if you don’t have one, you can get a new domain registered with the available options. The next few steps will guide you through payment processing where you will have to enter some of your details and register yourself with Bluehost before paying. Once the payment is done, you can move to the next step where we’ll choose the platform to create a Classifieds website. Today, when you have hundreds (if not thousands) of website building tools available, the question is about choosing the best platform to develop your website. WordPress has all the features that you may need to create a full-fledged classifieds website. 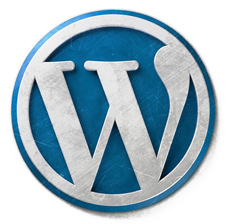 Have a look at the benefits of using WordPress. WordPress is one of the most popular CMS and an additional perk of using it to build a classified website is that even the hosting businesses provide WordPress optimized hosting. These services allow you one-click WordPress install and optimized performance. 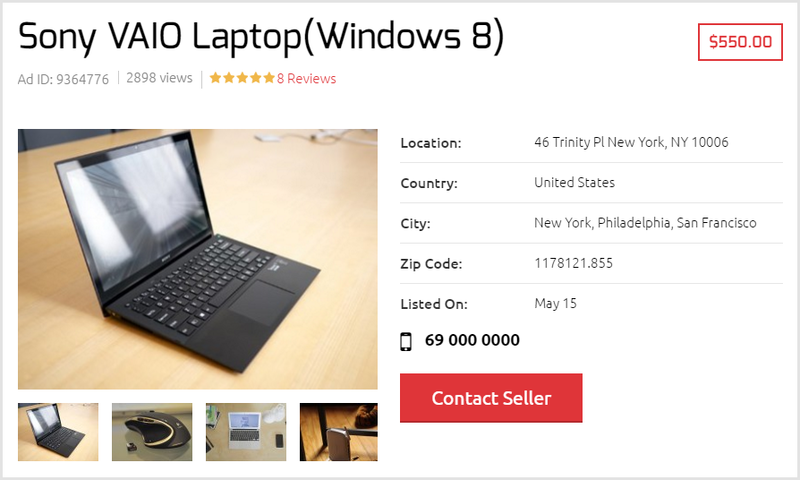 If not WordPress, you should try this self-hosted Classifieds directory software to create your website in minutes, with the easy to use and SEO friendly SAAS solution. Now that we’re going for WordPress, the next step will be the theme search. WordPress themes are more like ready made websites, with example/dummy data. So all you need to do is to pick up a theme and replace the example data with the actual data. 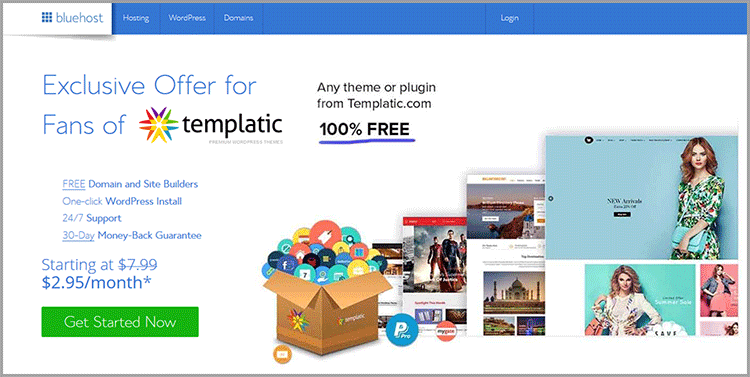 However, these themes are generally very flexible and allow you all the options to manage the theme’s appearance as well as features. WordPress is a popular CMS and there are hundreds of themes available for different niches. For this article, I’ll go with the Classifieds WordPress theme that is a child theme of our popular Directory theme and allows to create amazing classifieds directory website in minutes. 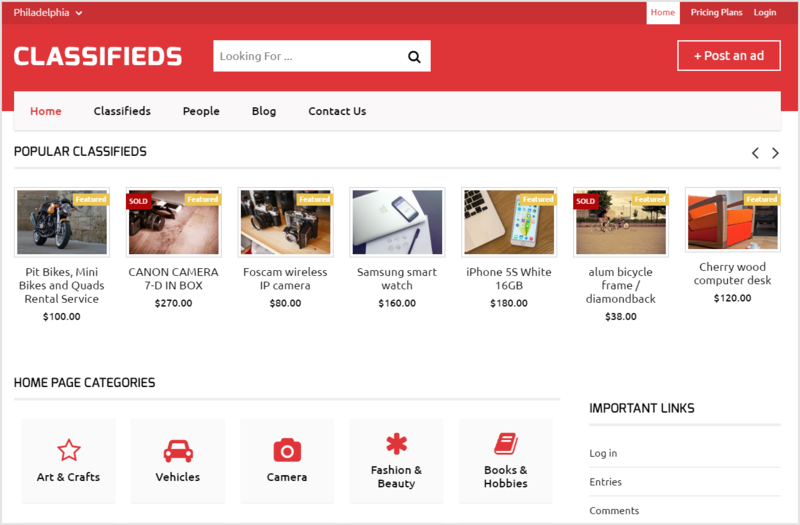 Get this Classifieds Theme for absolutely FREE! When subscribe to our hosting partner using this link, you get your favorite theme or plugin from our store without paying anything. I want this theme for free! The theme has all the features and a very flexible design. Moreover, it is very easy to use. However, if you want to use a different theme, you can choose a suitable WordPress Classifieds themes using this list. Different themes have different methods of setup and customization. But the premium themes you buy come with a documented guide on how to use and manage the theme so you can handle it all by yourself. The best part about WordPress and WordPress themes is that they both are very flexible. The best premium classifieds theme will always come with enough options to let you modify how your website looks. The Classifieds directory child theme comes lets you manage the theme appearance with abundant customization options and a live customizer (that reflects the changes made in the site real time, so you can get a preview before you actually save and apply). So, as a part of primary customizations, you can change the colors of your site (which is totally optional!) and upload the logo. Alternately, you can manage what you want to be shown on the homepage by rearranging the various widgets. Once you customize the theme and make it look the way you want, now is the time to create useful pages and accumulate the important links on the homepage so that the visitors can access it quickly. We’ll first create/update pages. A website is in fact, a collection of different web pages. You would want different pages on your website with different functionalities and information. The themes generally come with pre-designed pages for different purposes. You can just open the pages and update the data. To change the sidebar widgets, you can head to the widget section under the appearance menu and change the sidebar widgets of the required page. WordPress menus are so easy to create and manage. Now that we have our pages ready, we can link them with the menu and sub-menu items as per the requirements. Here’s a guide on – How to create and add menus to your WordPress website? So we now have our pages ready, but how will the users know about it? By providing relevant links on the homepage of your website. As a convention – The most important links are provided as menu and sub menu items. For instance – The link for the page that lets the front end users submit their classifieds listing is presented as a button on the homepage of classifieds WordPress theme. A button quickly draws the attention of the users. So linking pages to the menu, submenus and buttons on your website depends totally upon you. You can decide the importance of each link and place them accordingly, to ensure that the important links and CTAs get more exposure. Once you create a classifieds website, you would want to add some classifieds listing on your website. As an admin of the site, you can log in to your dashboard, and use the backend options to add the classifieds listing. Click on the add classified button and use the form to insert a category into your website. 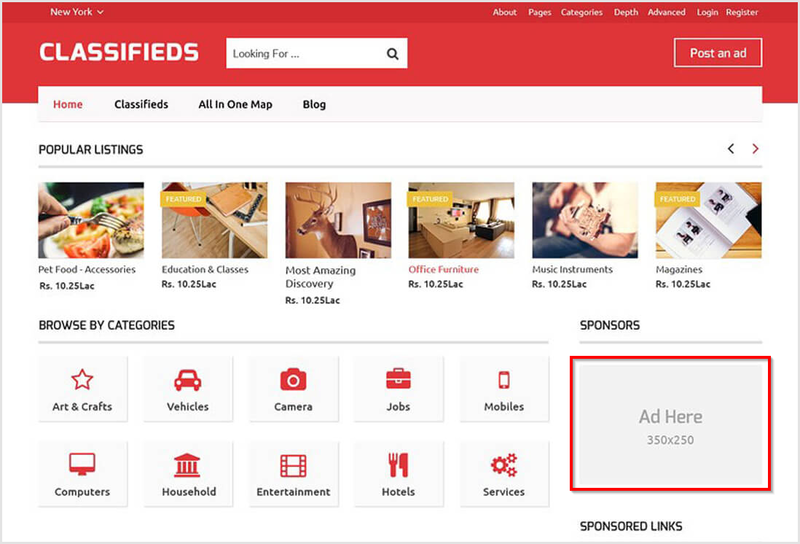 Helps the visitors to find relevant ads without wasting time on other categories that are irrelevant. The image below shows a screen capture of the homepage of the Classifieds directory theme. It is the best example of proper categorization helps the visitors quickly find what they want. They won’t have to spend time searching for different categories. 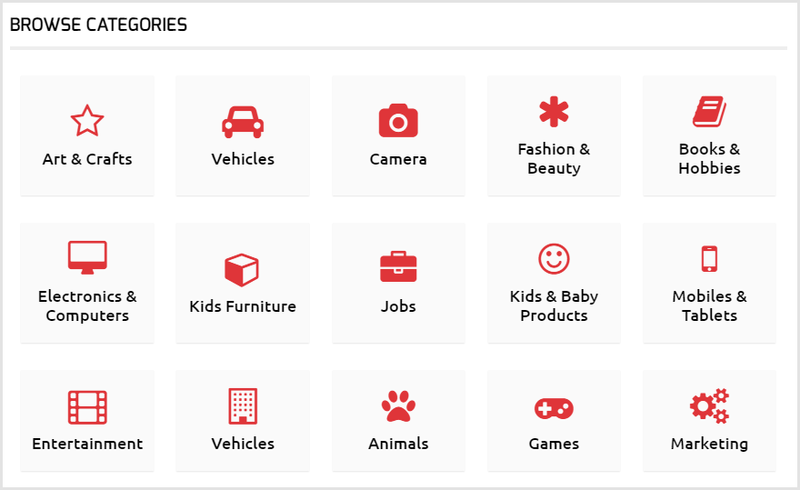 Instead, they can directly select their category and search for the relevant products. The next and most important thing to do is to add a photograph of your classifieds product. Pictures express more than words can! It is always recommended to add high-quality images in your post. Especially when it’s a classifieds website, where you are selling physical products. In the example below is the detail page of a product, and as you can see, there are multiple images of the single product. These images help explain your product better to your prospect customers. With the images, proper title and category selected, you can add other important details about your product. The most important of which is setting the price. In short, whatever you want to mention about the classified product, you should jot down. The more information you provide, the better! Creating and managing classifieds requires time, resources and efforts. And when you are investing so much, it’s very natural to expect something in return. In this section, we’ll see how your online classifieds ads directory helps you earn passive income. Initially, there are two simple ways to earn through your website. As your website grows and the traffic increases, you can look for newer ways to earn through your classifieds website. But to start with, let us see how these two basic methods work. Displaying advertisements on your website is the simplest and most efficient way to earn through your website. Thankfully, the classifieds Directory theme comes with ad spaces. You can display advertisements almost any part of your website. So, all you need to do is to find the sponsors who want to advertise on your website. And be assured, once your website starts gaining enough traffic, there will be a lot of people who would want to advertise on your website. Quick tip: You can set different prices for displaying advertisements at different places on your website. For instance – The homepage captures more attention than any other page, so advertising on the homepage can be costlier than advertising on the category page or the detail page. Similarly, an advertisement banner right below the header gains more focus than that on the sidebar or footer. So the prices can be set accordingly. A classifieds website is where people post their advertisements. However, you can decide if you want the people to post for free or charge for their advertisements. When you are allowing paid front-end submissions, you need to allow the visitors to pay online. The Classifieds WordPress theme comes with PayPal integrated, so you can just configure it with your credentials and start using it for collecting online payments. Besides, it allows compatibility with a number of payment processors. So you can choose the one that suits you the best. 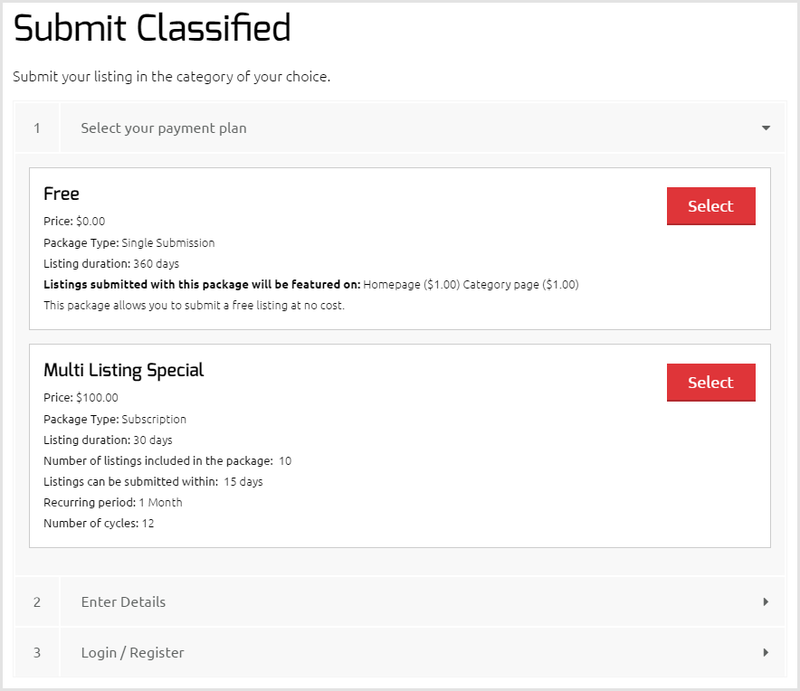 To display the pricing plans for submitting classifieds listing on your website, you can create the pricing packages. The Classifieds directory WordPress theme allows you to create as many pricing plans as you want. You can create different price packages with different prices and different conditions. In your website, you want 3 packages. The basic package that allows the users to submit 5 classified advertisements for $100 within 30 days. The next package allows submitting 10 classifieds advertisements for $175 within 3 months. And there’s a quick package for a single submission, for $25. So different users with different requirements can choose accordingly. Done creating the price packages and ready to accept payments? Now, this final step aims to ensure that the submit classifieds button is easily accessible, right through the homepage. The best themes will come with this button positioned on the homepage, near the header itself, but if for some reason it is not there, you can create a button or a highlighted link directing to the submit classifieds page. Websites like classifieds and directories need maintenance and monitoring. Obviously, modern tools and techniques make it easy to build a website, but how well it runs depend only on how well you maintain it. For a classifieds website, there are two tasks that you need to perform right after you put your website online. Yes, just like the other business can take the help of your website to display their ad banners, you too can take help of theirs to promote your online classifieds directory. Choose a relevant platform for displaying your advertisements. If your website is a local classifieds directory, you can just advertise locally. Resort to the local media, use social media, and local newspaper or television channels. You will have to consistently maintain the quality and content of your website. Most importantly, you need to keep a check on what the users submit. The classifieds ads should be meaningful and confusion-free. so checking on the content of your classifieds post is important. Checking on the quality of content posted on your website. Also read: Creating a Job board website that earns for you. And as promised, here’s the video of this entire process. You can watch the video on how to create a classifieds website with WordPress in less than minutes. Turns out that creating a classifieds directory website is easier than it seems, isn’t it? Just grab a WordPress theme for Classifieds and start right away. There’s no better time to start than now.